While the focus is very much on Guardians of the Galaxy Vol. 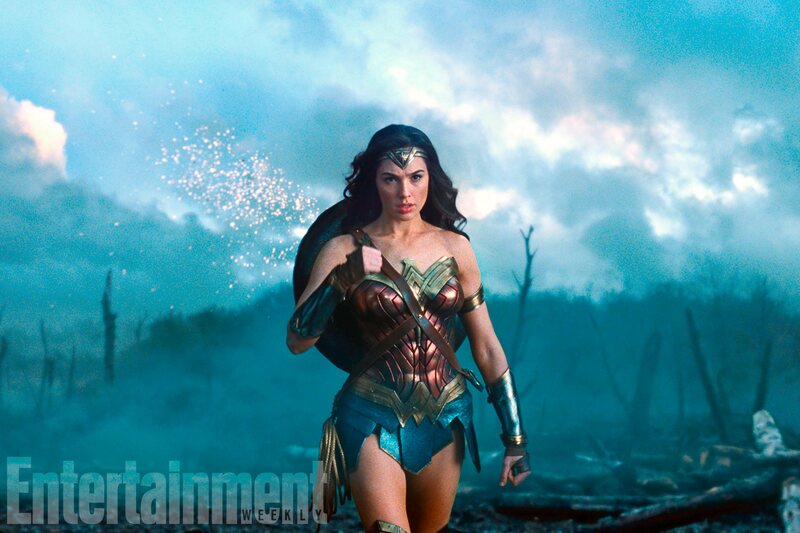 2 right now, there’s not long to go until Wonder Woman reaches the big screen. We’ve known for a while that Ares will be the movie’s big bad, but surprisingly, Warner Bros. has resisted showing off the villain in anything other than toys. Unfortunately, that hasn’t exactly changed today, but a couple of brand new images from the film have been released and they give us a fresh look at the Amazon warrior and Chris Pine’s Steve Trevor. However, it’s the toy packaging which is the most interesting of the bunch, as brings with it a glimpse at Ares, who’s been obscured in shadows, likely to protect his identity. In related news, Wonder Woman director Patty Jenkins has revealed that Gal Gadot took part in reshoots while she was five months pregnant. That’s an impressive feat, to be sure, and really speaks to the actress’ dedication. Gadot has finished shooting Justice League and doesn’t have any other DC Comics movies in the works right now, but assuming Wonder Woman is a hit, we can probably expect a sequel to be announced for 2019 or 2021. Then again, early buzz has been pretty mixed and right now, it’s hard to say how the film will do. There’s been just as much negative word of mouth as there’s been positive and until those first reviews surface, all we can do is speculate. If one thing’s for certain though, it’s that all eyes are now fixed firmly on the female-led superhero flick to see what kind of numbers it can pull in. Will it be the project to turn things around for the studio and their cinematic universe? That remains to be seen, but all will be revealed fairly soon, as Wonder Woman storms into theatres on June 2nd.